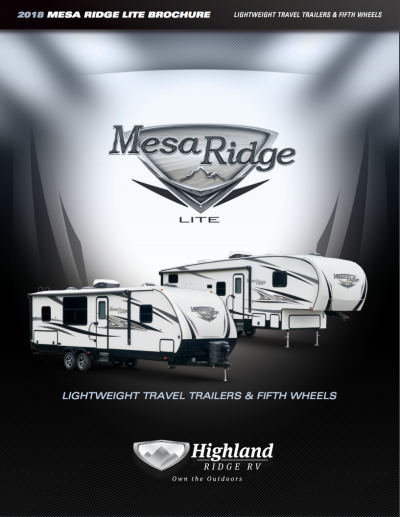 Travel further with the 2018 Highland Ridge Mesa Ridge Lite MR2802BH! If you're looking at this Travel Trailer then head on in to National RV Detroit in Belleville, Michigan! We've got great financing that can fit almost every customer's budget! So see us today at 44700 N I 94 Service Dr Belleville Michigan 48111 and let us get you on the road in your dream Travel Trailer! Even if you don't live in the Belleville area, we have fast, 24/7 delivery anywhere in North America! Pick out your perfect Travel Trailer and call us today at 734-439-3400. Your dream is about to come true! The kitchen is jam-packed with useful amenities that make cooking hearty meals easy! You'll be able to whip up a delicious hot food with the 3 burner range cooktop and keep everything fresh in the 8.00 cu. ft. refrigerator! The sink offers plenty of clean water from the 51 gallon fresh water tank! No more treks across the campground to the chilly, damp, crowded public bathroom! 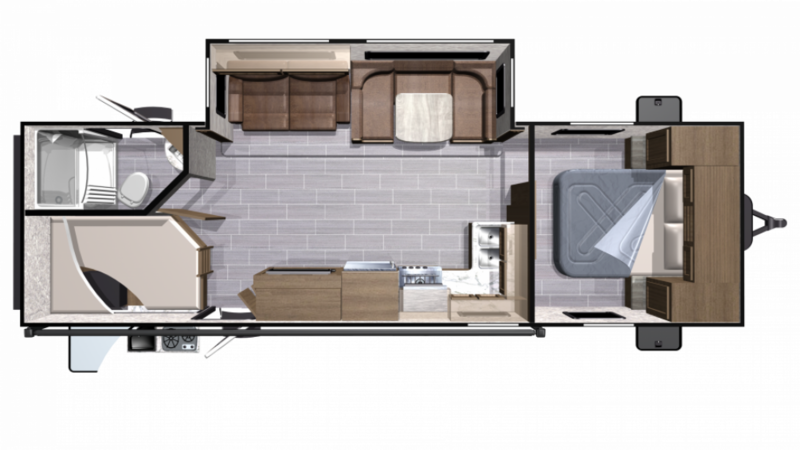 This Travel Trailer has a private bathroom, complete with a roomy shower, full sink vanity, and Porcelain Foot Flush commode that provide convenience and comfort for the whole family! And lots of hot water thanks to the big 51 gal. freshwater tank and LP tank capacity of 60 lbs. capacity. This RV also has a 58 gallon gray water tank and a 29 gallon black water tank. Family or guests can cozy down in the bunkhouse when the sun sets, and they'll enjoy a great night's sleep! Enjoy hot meals and cold drinks out in the fresh air and sunshine! They're easy to whip up with the outdoor kitchen!